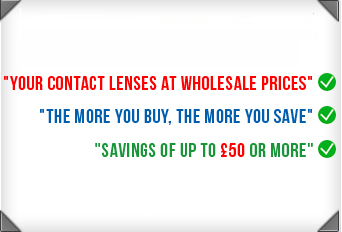 Offer excludes any monthly/daily coloured lenses and Soflens 38 lenses. Offer cannot be used in conjunction with any other offer or voucher code. Free Lenses offer not available for Frequency 55 Aspheric Lenses. Free Lenses offer not available for Biomedics 55 Lenses. Free lenses on orders for Frequency 55 lenses will be upgraded to Proclear Sphere lenses. Free Lenses offer not available for Biomedics Toric Lenses.